Richard Rawlings and Aaron Kaufman team up in Dallas, Texas to form Gas Monkey Garage.Â Their “Fast N’ Loud” TV show is a hit on the Discovery Channel, where Richard buys a relic; Aaron and his crew update the ride and then â€œflipâ€ the car to a new buyer that keeps Richard in beer money.Â The show gets great ratings, has a loyal following and has a familiar format.Â Grab a car, make a ridiculously short deadline and stand back to watch the resulting havoc. At the January 2012 Barrett-Jackson car auction in Scottsdale, Arizona one of their creations, a 1931 Ford, was auctioned off for $12,870 by one of those buyers.Â So I guess that seller flipped a flipped car?Â And at a loss, since the buyer on TV bought it for $21,000. Gas Monkey Garage decided on a different plan for the just concluded Barrett Jackson auction held at Reno, Nevada last month.Â They took a brand new 2013 Chevrolet COPO Camaro added some decals and auctioned it off for $137,500 (We always list the selling price of an auctioned item with all related buyerâ€™s commissions. )Â Not bad for a car that isn’t street legal. COPO stands for Central Office Production Order and was used by Chevrolet to offer limited runs of unique setups of their cars to selected special dealerships and those â€œin the knowâ€.Â The most legendary COPO was the 1969 Camaro made for Fred Gibbs, with 69 cars sporting an aluminum ZL1 monster motor.Â In muscle car collections; this is the mother lode.Â In 2012, Chevrolet resurrected the COPO Camaro but with a severely limited run of only Â 69 cars.Â These COPOâ€™s are not street legal, lacking most of the NHTSA safety requirements, and are strictly designed for the drag strip.Â They are lean and mean. 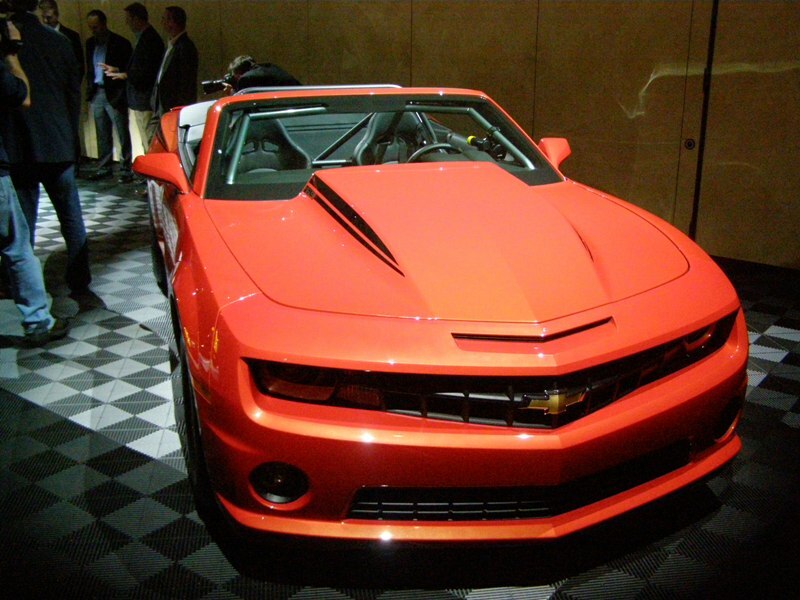 At the 2012 SEMA (Specialty Equipment Manufacturerâ€™s Association) show, the GM folks showed off their only COPO convertible, painted in Inferno Orange.Â Of course having a drag car racer, without a hard top, might make it hard to pass a tech inspection but it looked great; once you cleared off the slobber marks! Well Chevrolet said letâ€™s do it again, and made a limited run of 69 COPO Camaroâ€™s for 2013 and Richard Rawlings got his hands on one and added a few extra touches and decals before auctioning it off in Reno.Â This COPO might be featured in an upcoming episode of their television show and Iâ€™m guessing Richard Rollins took advantage of the engine build option and went back to Michigan to be part of building â€œhands onâ€ the LS7 427 cubic inch engine for the 41st Camaro. The Camaro was fitted with a NHRA chorme-moly cage and a solid rear axle and looked mean and lean.